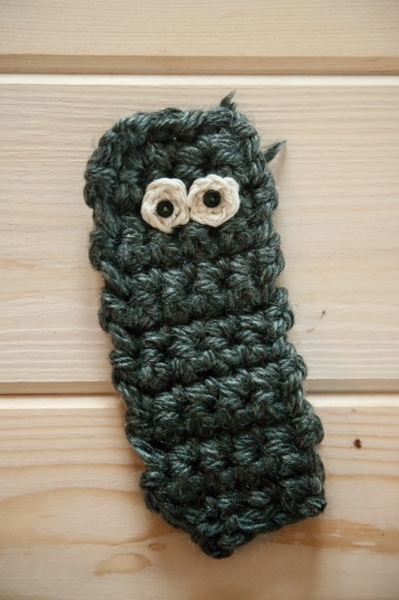 Back before all of the kids came along, I kept a little Etsy shop with crocheted items for sale. These were mostly hats, with some amigurumi, iPod cases (remember iPods?) and ornaments. All of these items were generally owls or owl-themed. 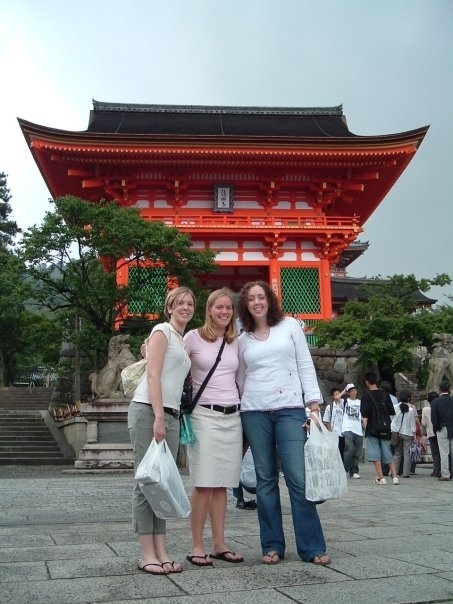 I can trace with absolute precision my love of owls back to a college trip to Japan in 2004. At the time, owls were very big as a decor motif over there, but they hadn’t really begun to be very popular in the states. 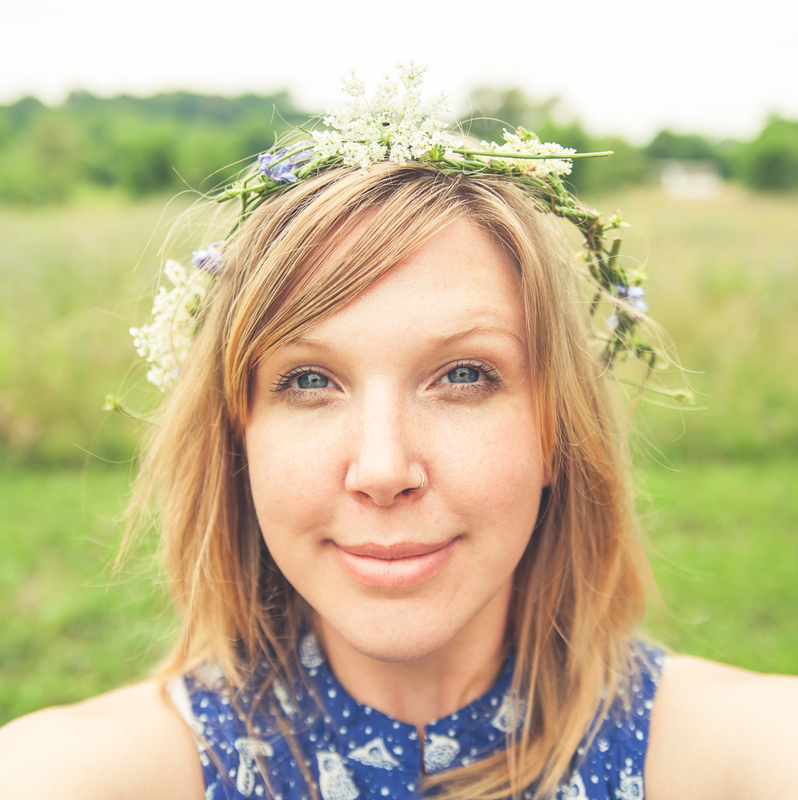 I saw owl mugs, owl umbrellas, owl plates, owl juice glasses, owl teapots–I was hooked. I think it’s the big eyes, slightly squat shape, and grumpy expression that make owls so lovable to me. 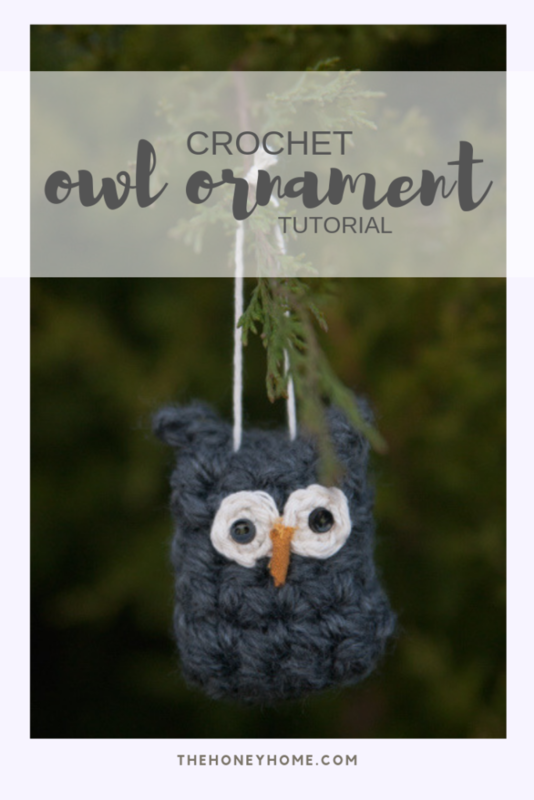 I decided to make this tutorial for the owl ornaments I used to sell in my shop–they’re relatively quick and easy, endlessly diversified, and just plain cute. 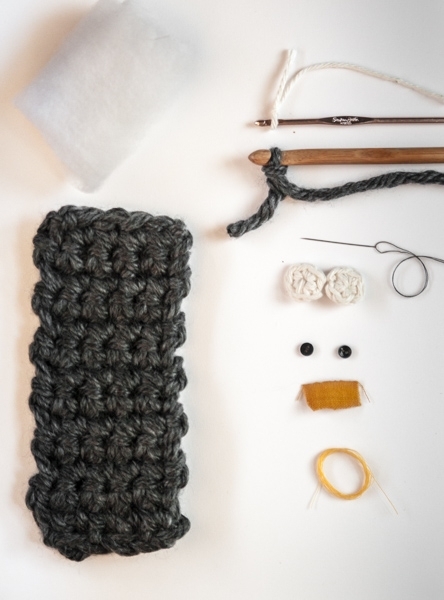 I am assuming some basic crochet and sewing skills from the outset, but if you don’t crochet, felt pieces could work in place of the crocheted bits. As you can see from the photo, I used a chunky yarn for the body and therefore used a larger hook. Then sew the circles to the front of your rectangle, near the top. I think they look more owlish if they’re touching in the middle. These crocheted spirals hide thread pretty well, so if you can’t find any white thread (like I couldn’t) you’re probably fine just using whatever. 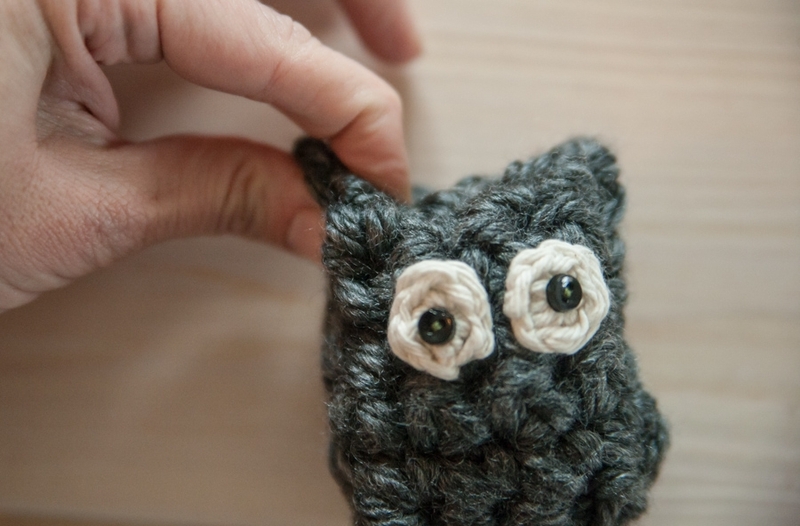 Fold your rectangle in half so that the eyes are inside, and sew the sides together. Then flip right side out, fill the body with polyfill or material scraps or whatever you’d like to use, and sew the top closed. 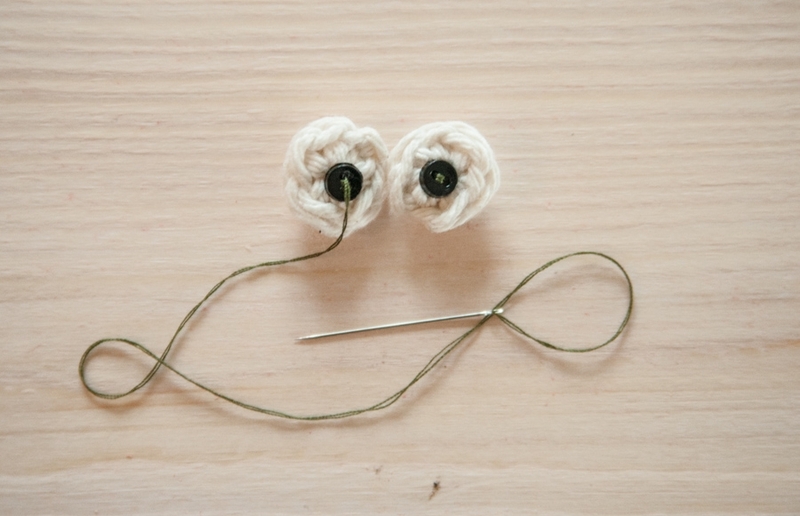 To make the ears, pinch the corners of the top and sew a little stitch to hold them that way. 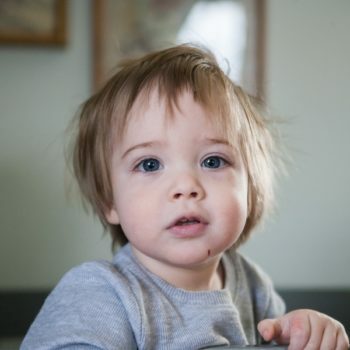 I sew it at a 45-degree angle, putting the needle through basically exactly where my fingers are. 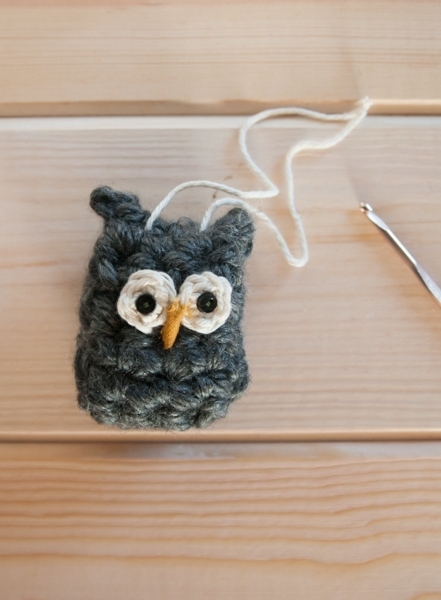 Then, using your crochet hook, thread a piece of yarn or ribbon through the top of your owl, then tie together to make a loop for hanging. That’s it! 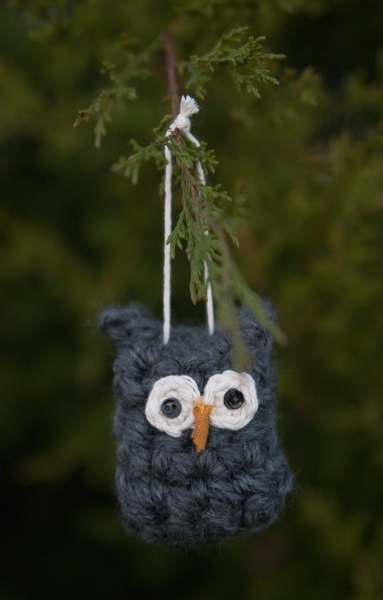 You have your own little owl to sit in your Christmas tree.